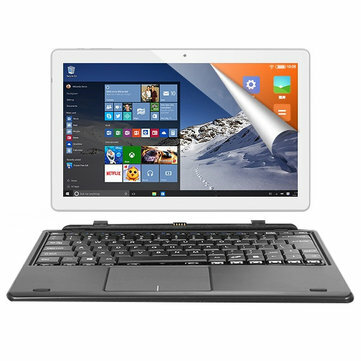 ALLDOCUBE Cube iWork10 Pro Dual OS Tablet comes with Intel Atom x5 Z8350 Quad Core 1.44GHz,up to 1.92GHz CPU processor. bring you perfect visual enjoyment.And this tablet supports HD/bluetooth function.Very Convenient for you when you go out. Notice The keyboard and the stylus are not included.